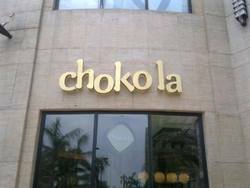 Prominent & Leading Wholesale Trader from New Delhi, we offer led back glow letters, 3d led board, 3d led acrylic letter, led signage board and titanium led letter. Backed by consistent efforts of our dexterous professionals, we are engaged in offering an optimum quality LED Back Glow Letters. 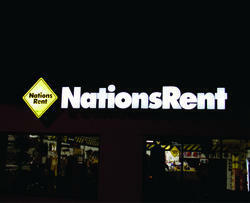 In tune with the varied demands of our prestigious clients, we are offering a superior quality LED Back Glow Letters. We are one of the leading manufacturers and suppliers of a high quality range of 3D LED Board which are highly portable and easy to install. Light in weight and can be dismantled easily, these boards are available in various sizes, designs and colors as per the clients’ requirements. With the help of our professionals, we are able to introduce for our valuable clients 3D LED Board that is manufactured using the finest quality raw materials and sophisticated technology. 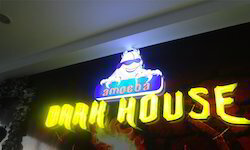 We are amongst the most reputed names in the domain, engaged in offering 3D LED Acrylic Letter to our esteemed clients. Keeping the diverse needs and requirements of clients in mind, our company is involved in offering a wide gamut of 3D LED Acrylic Letter. Keeping in sync with the latest fashion trends, we are engaged in providing a trendy array of LED Signage Board. Fostered with an enormous business understanding of this realm, we are involved in presenting a broad consignment of LED Signage Board. 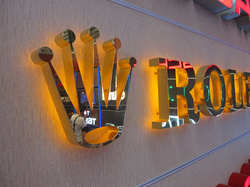 Our expertise enables us to manufacture trade and supply our clients Titanium LED Letter. These LED letters are admired for their unmatched quality like low power consumption, attractive designs, long life and durability. We have in store for our clientele wide assortment of Titanium LED Letter. Our experts use modern techniques while developing these LED letters.